Located just east of Snoqualmie Pass, Gold Creek is a headwaters tributary to the upper Yakima River. 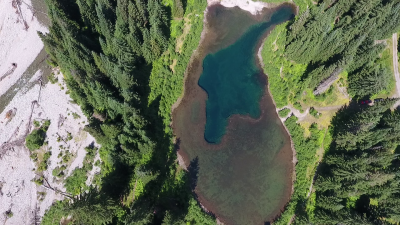 Gold Creek originates in the Alpine Lakes Wilderness and then flows into Lake Keechelus near Snoqualmie Pass. Here a small population of threatened bull trout is on the brink of extinction. This genetically distinct population became geographically isolated after completion of the Lake Keechelus Dam in 1917. As a result, they are designated as a high priority action population in the Yakima Bull Trout Action Plan. 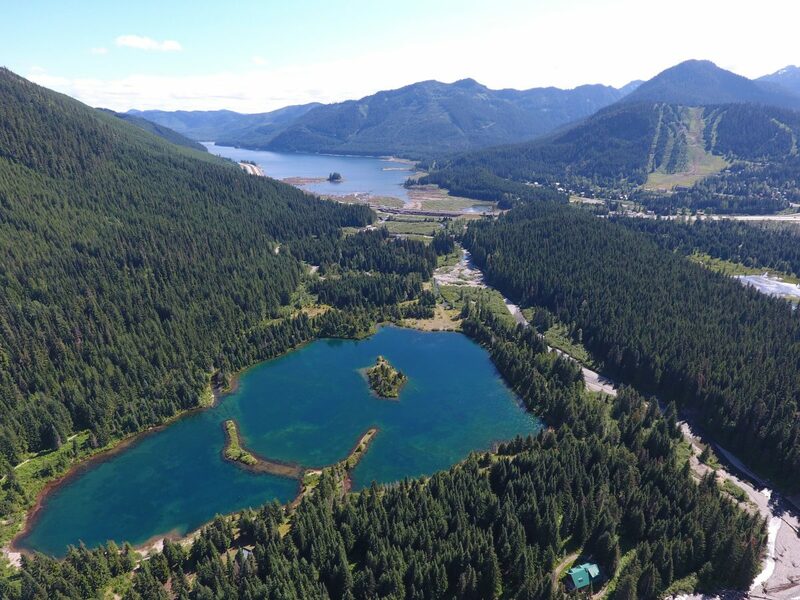 The Gold Creek watershed has experienced major human disturbances including logging, mining, water storage impoundments (dams), and residential, road and railway development. These historic disturbances altered natural processes and hydrologic conditions. As a result habitat is degraded and the creek seasonally dewaters. Overall, cumulative impacts have manifested in two negative ways. 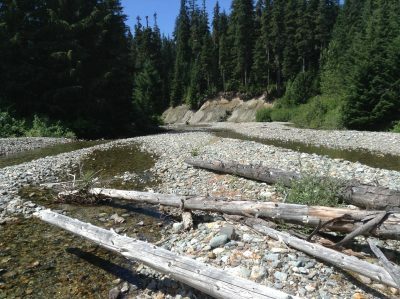 The first is an over-widened creek channel that lacks the in-stream complexity of large wood, deep pools, and spawning gravels that bull trout need to survive and thrive. 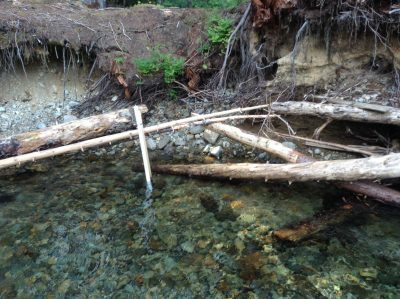 In addition, human disturbance has also lowered the water table in the lower section of Gold Creek Valley, which siphons water away from the creek and worsens dewatering – a period of time when the stream goes dry. Dewatering kills young bull trout rearing in the creek, and inhibits adult migration to spawn upstream in late summer/early fall. Degraded habitat and dewatering are critical factors for a population that is already struggling. As a result, we continue to see bull trout numbers decline. 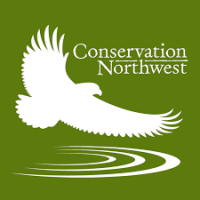 KCT has completed a detailed assessment of aquatic conditions in Gold Creek and is designing restoration strategies to restore critical functions to the creek. Actions could include narrowing and stabilizing stream banks, restoring adjacent floodplains, increasing stream flow complexity and large wood structures, encouraging regeneration of riparian forests, increasing the number of deep pools with cover, and decreasing the duration and extent of seasonal dewatering. 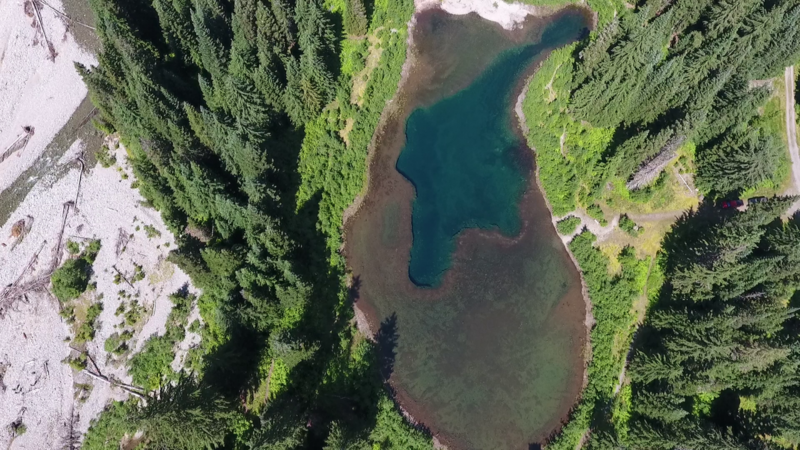 An additional piece of the puzzle is looking at ways to restore Gold Creek Pond. Prior to excavation Gold Creek Pond was a wetlands habitat complex. The gravel pit that WSDOT dug is expansive – it takes up 90 percent of the floodplain and is 60 feet deep at its lowest part. It is one of the few gravel pits in the Gold Creek floodplain that wasn’t restored back to its original state by WSDOT after excavation. 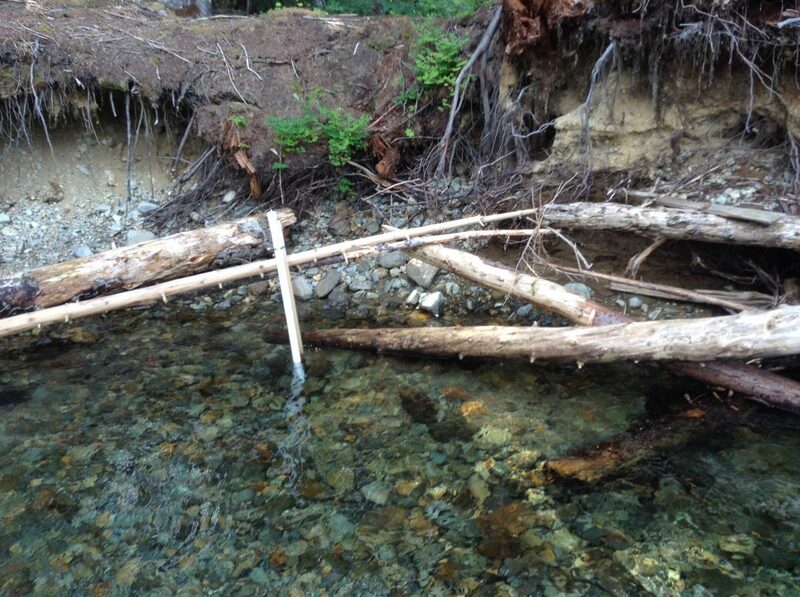 The shape of the pit and the elevation of its downstream outlet lowered the groundwater table across Gold Creek valley. Because the pond is lower than the creek, it acts as a siphon, pulling water from the creek to the pond. This further exacerbates the dewatering effects on the creek. 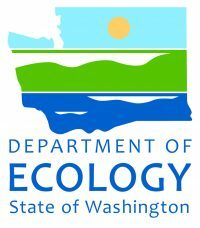 We have been working with Natural Systems Design, an engineering firm that specializes in river restoration, to gather and analyze data and provide the Forest Service with alternatives that will restore the groundwater table. Ultimately, the Forest Service is the decision maker for what restoration takes place in Gold Creek Valley. The alternatives for the creek and the pond will be analyzed through the National Environmental Policy Act (NEPA) process. Through the NEPA process, the public will be able to weigh in on the various alternatives. Once the Forest Service makes a decision, we will work with them to implement the selected alternative. 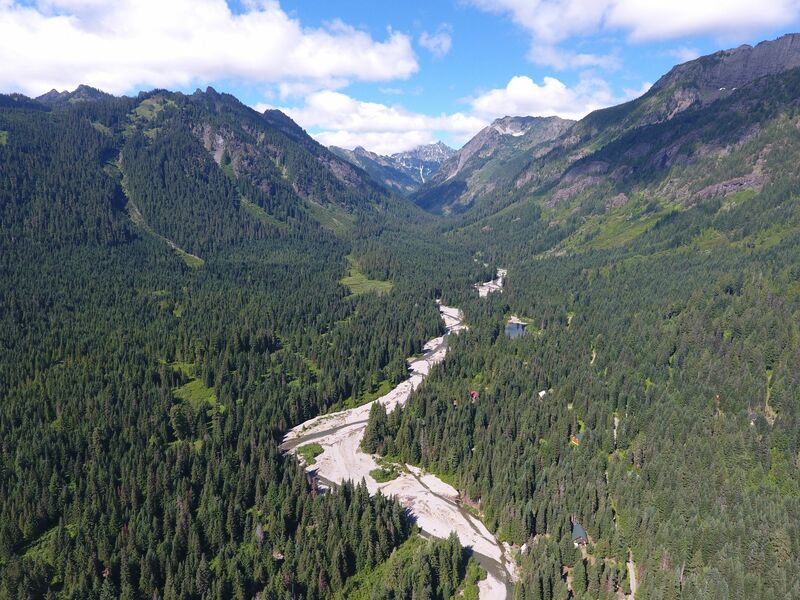 Due to the proximity of Gold Creek to recreational cabins, KCT is partnering with local landowners to include their concerns, ideas, and thoughts into this restoration project. These landowners have first-hand observations and experiences to bring into the process. Thus they can provide valuable insight that can help design a better restoration project. Furthermore their input can guide actions that can simultaneously help address things like flooding concerns that these landowners have directly encountered. 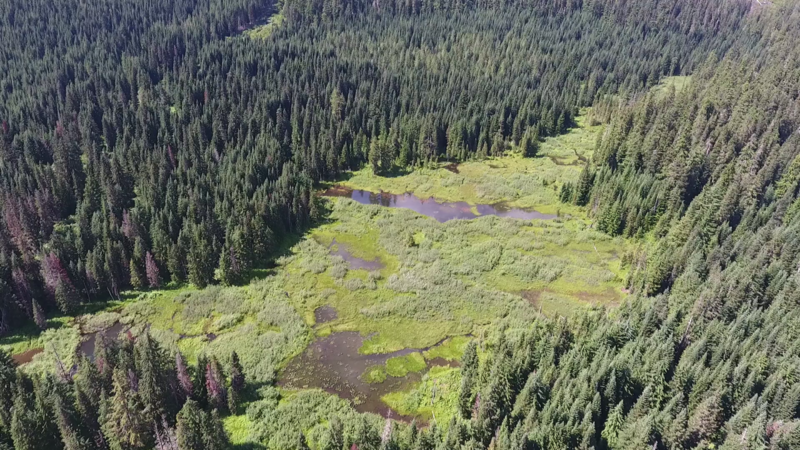 Determine the causal mechanisms that address the limiting factors of bull trout production in Gold Creek and design restoration alternatives that utilize natural processes to enhance critical habitat and flow conditions. A special thank you to our partners working to find solutions to save bull trout in the Gold Creek Valley!